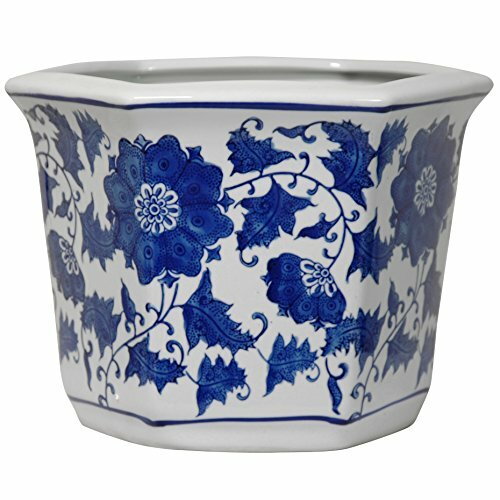 Durable high temperature Chinese porcelain in an interesting hexagonal shape with a classic Ming blue and white vine and flower design. Perfect for house plants or small indoor trees, either live or silk. Drainage hole in bottom for watering live plants.